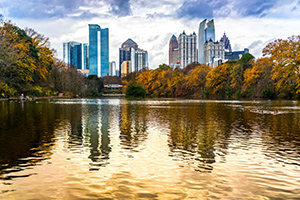 Which Georgia City Is Best For You? Is Georgia on your mind? Where should you live? Georgia isn't just peaches and southern accents. Find your home in the south. Are you a bright lights, big city kind of person, or do you prefer a quiet town life? Do you love history and old buildings, or does it thrill you to be surrounded by news things? Take this fun quiz and find out where you belong in the state of Georgia.